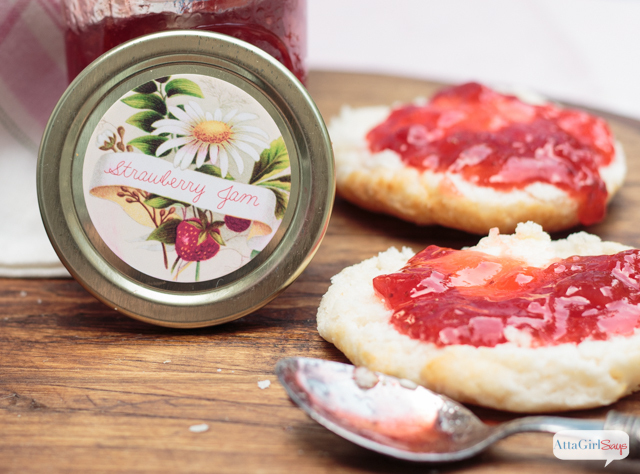 This easy strawberry jam recipe is a great way to preserve the flavors of spring. 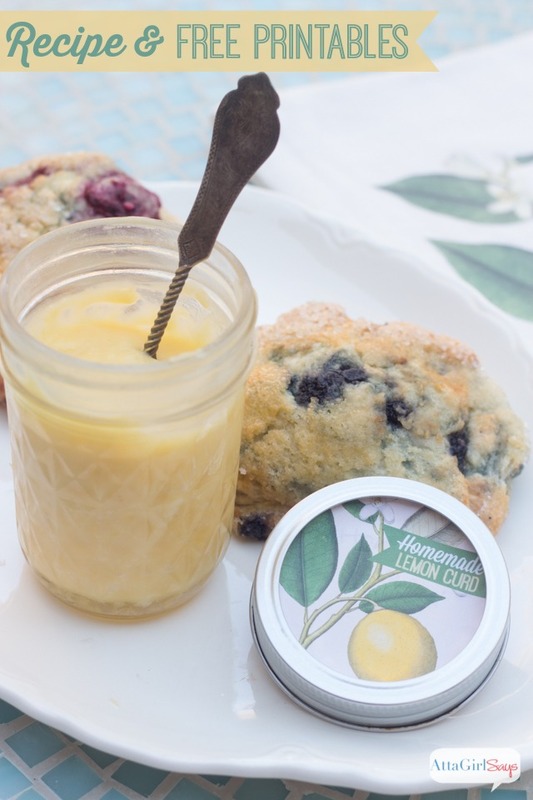 Serve it on buttery homemade biscuits for a special treat. 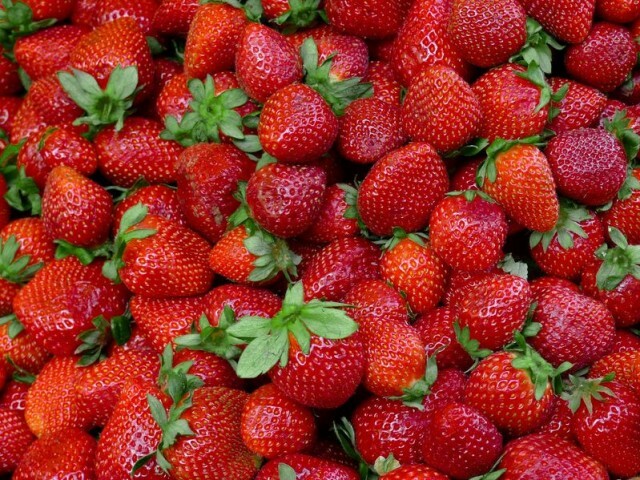 Can you believe it’s almost strawberry season? We had a pretty mild winter and some warmish spring days, so I’ve already seen a few roadside stands advertising farm-fresh strawberries. I can’w wait to go picking! 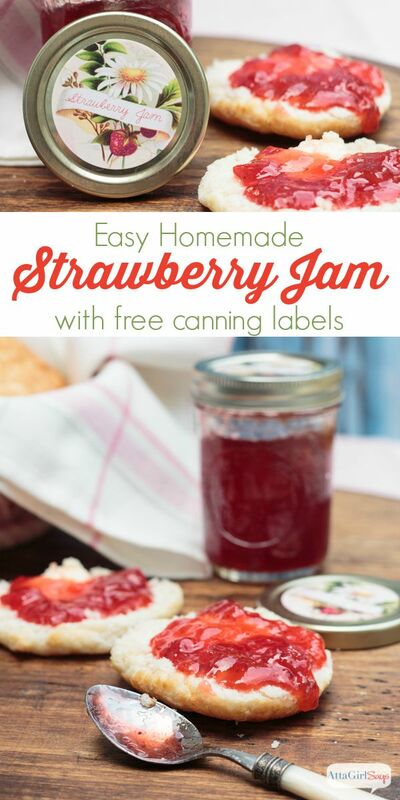 So I can put this easy homemade strawberry jam recipe to good use. 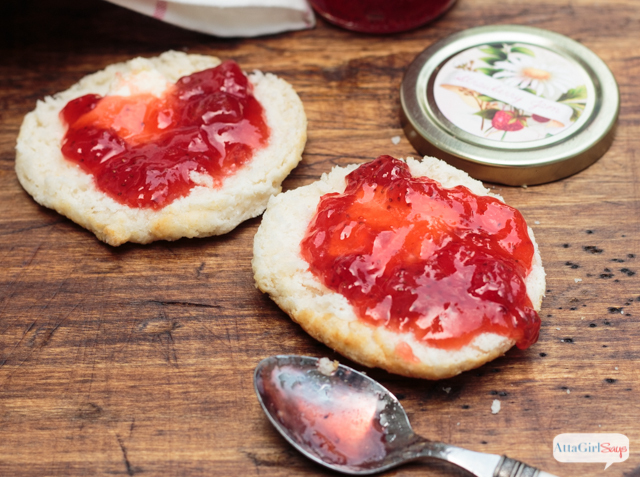 My mom has been making this jam for as long as I can remember, and it’s so good. 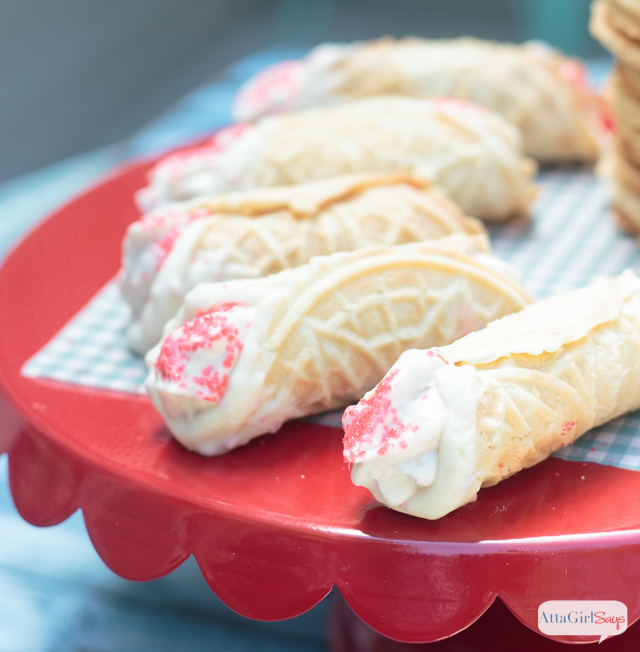 I first shared the recipe last year as a guest post at Made from Pinterest. But I know some of you might have missed it there, so I figured strawberry season was the perfect time to dust off the recipe again. 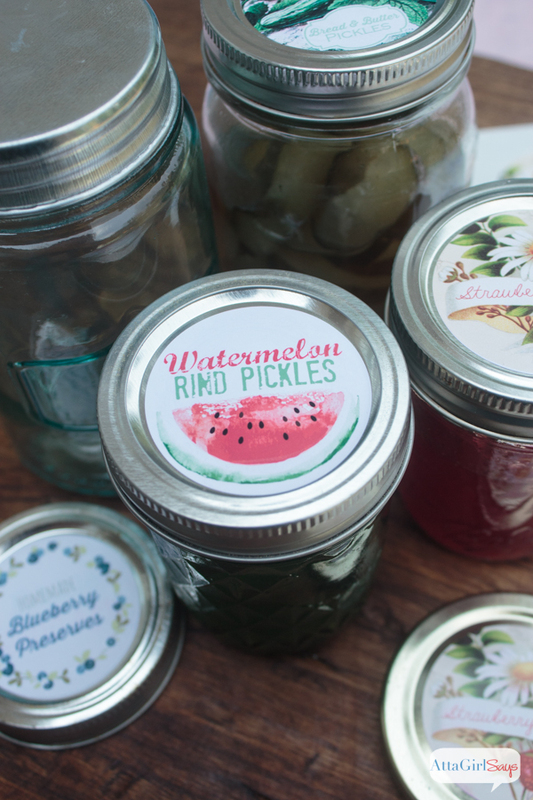 I also made some vintage-inspired canning jar labels for the jam jars, plus ones for other popular homemade preserves and pickles. 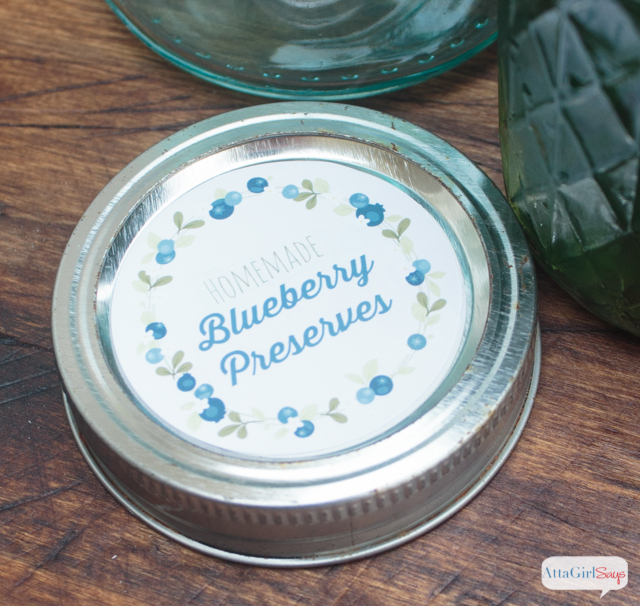 You’ll find the free printable canning jar labels after the recipe. This is a recipe from my mama’s kitchen. Aren’t the best recipes always the hand-me-down variety? I’m pretty sure she got it out of the Sure-Jell box years ago, but I still think it counts as a family recipe! Butter my buns and call me a biscuit! This is good stuff! Wash jars and rings with hot water and soap (or in the dishwasher.) Rinse well. Place jar lids in a sauce pan and cover with boiling water. Fill a canner half full with water and simmer. Place sliced, crushed strawberries, measuring five cups, into a 6-ounce or 8-ounce stock pot. Add pectin to berries, and stir to combine. To reduce foam, add 1 teaspoon butter. Bring to a full boil over high heat, stirring constantly. Return to a full, rolling boil and cook for 1 minute, stirring constantly. 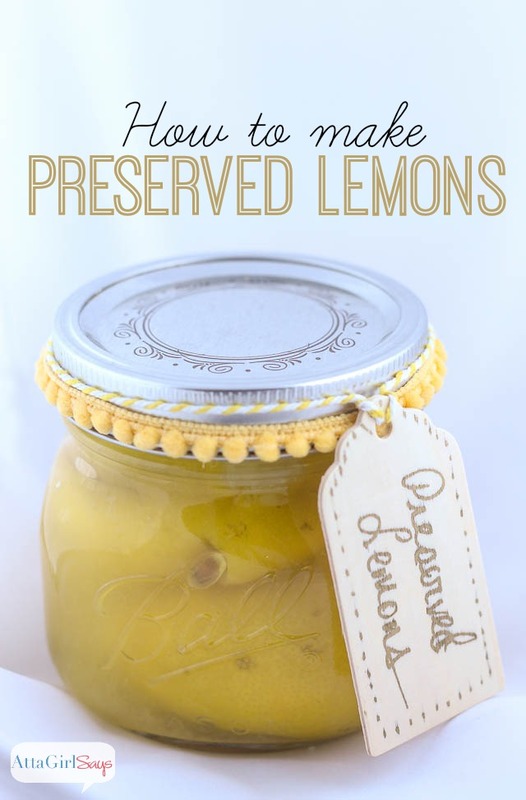 Ladle into clean, dry jars, leaving ¼-inch of space at the top. Wipe jars and seal with lids and bands. Place jars in canning rack and lower into the water, making sure there's 1 to 2 inches of water covering the jars. Process for 10 minutes and remove jars from canner. Place them upright on a towel. 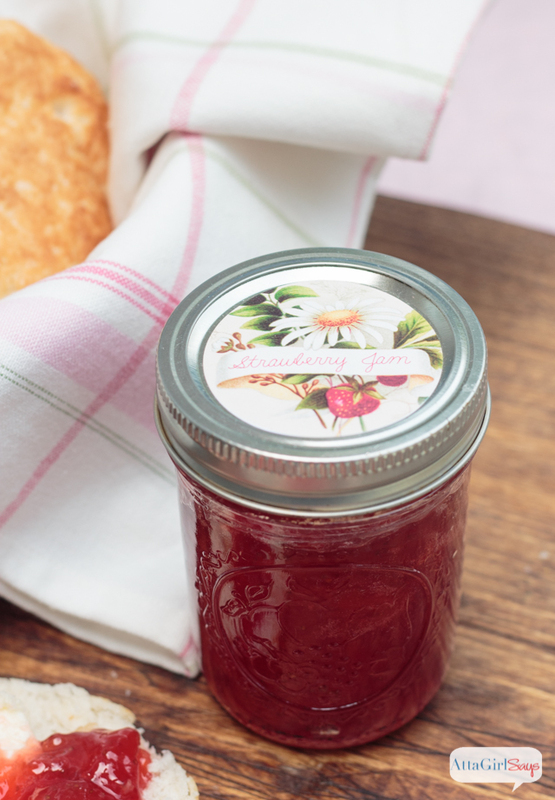 Once jars are completely cooled, check the seals by pressing the center of each lid. If the lids spring back when touched, they're not properly sealed and they must be refrigerated. Disclosure: This post contains affiliate links, but I only recommend products I use and love. Read my full disclosure policy here. Since it’s that time of year when the garden and the farmer’s market are bountiful with fresh fruit and produce, I find myself doing a fair bit of canning of pepper jelly, watermelon rind pickles, pickles and more. 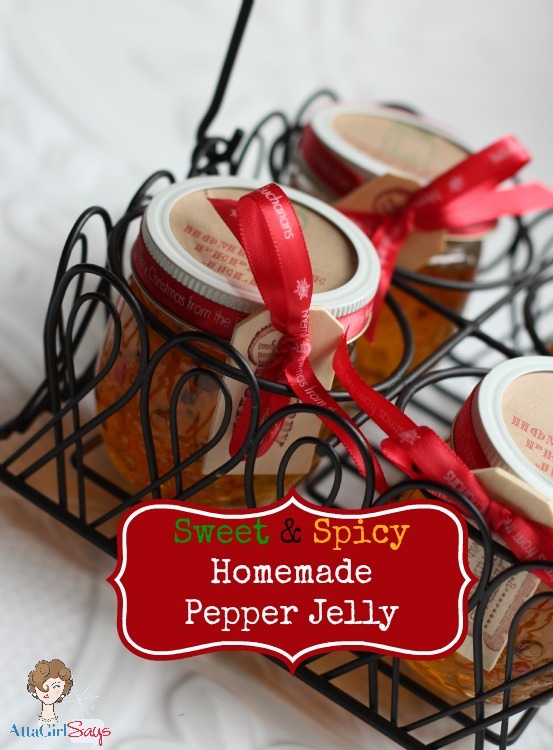 I made some pretty labels to go on the jars so they’ll look pretty in my pantry or when I give these as food gifts. All these labels are designed to print on 2-inch round Avery labels. (Look for #22817 or #22807 when you’re shopping). This size will fit on a variety of mason jars. 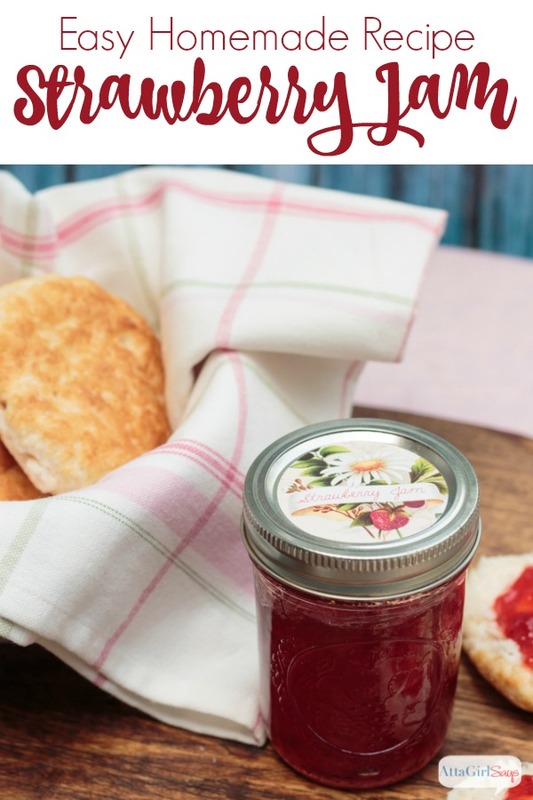 There’s a vintage-inspired jam label, created with this free image from the Graphics Fairy, to accompany the strawberry jam recipe. 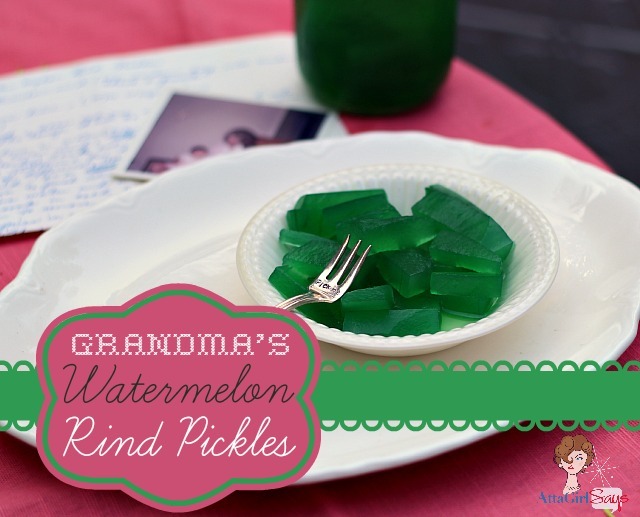 There’s a watermelon rind pickles label, if you want to try my grandma’s watermelon rind pickles recipe. 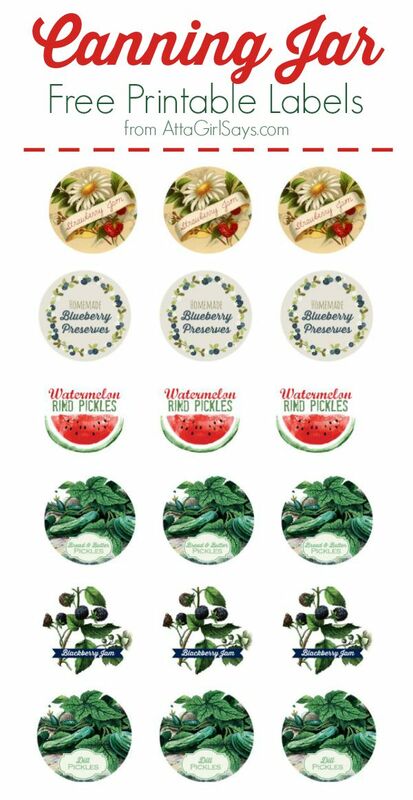 Plus there are labels for blueberry preserves and blackberry jam and two kinds of pickles. (I’ll be sharing a delicious bread-and-butter pickle recipe on Atta Girl Says soon.) I used the vintage berries and vintage cucumbers image from The Graphics Fairy to create these labels. 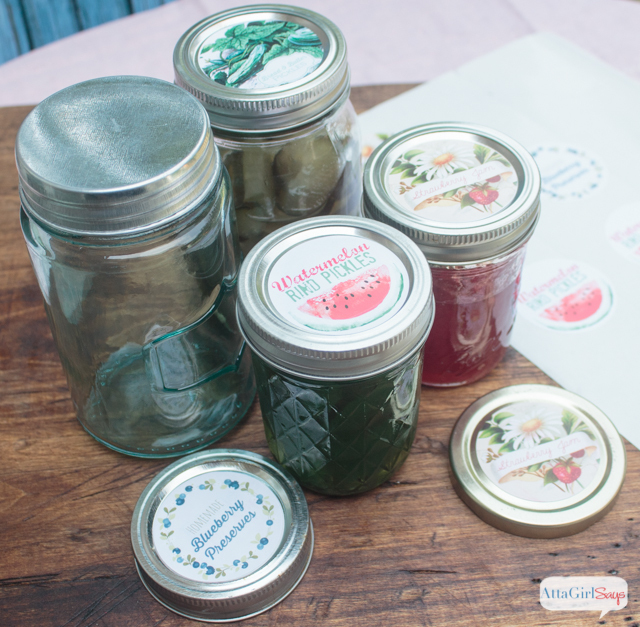 Download the printable canning jar labels through the links below. Beautiful looking preserves. Thanks for sharing with us at Throwback Thursday. Pinned and shared!